Demonte Deshannon died Wednesday after contracting a form of bacterial meningitis. He's survived by his parents and three brothers. 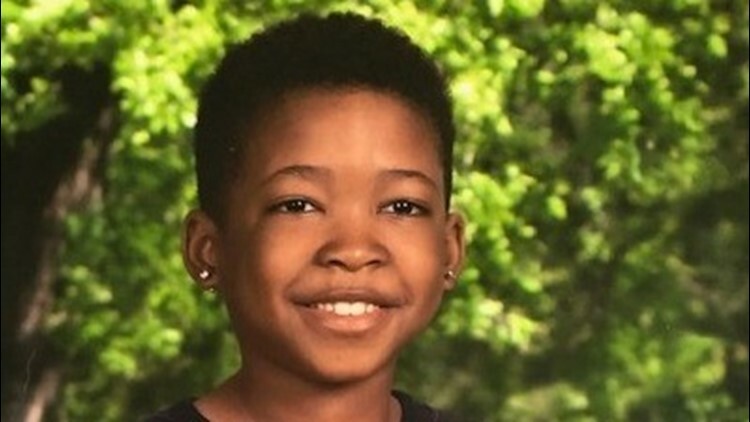 KILLEEN, Texas — A Go Fund Me page was started Wednesday for an 8-year-old Saegert Elementary school student who died of pneumococcal meningitis. Demonte Deshannon is survived by his mother, Kimberly, father, Robert and three brothers, according to the page. "During this time the family will appreciate your prayers and donations to help us get through this difficult time," the page says. "If you're unable to donate please share the post, and hashtag lucky 8! One of his dreams was to become a firefighter, let's become firefighters and help other people! God bless#lucky8!" District spokesman Terry Abbott said KISD had counseling teams at the school Thursday to provide support to the children. "Our deepest condolences go out to the family and friends and teachers of the student," Abbott said. Abbott said the school was safe and no other cases of meningitis were reported. The district originally reported the case as meningococcal meningitis but the Department of State Health Services told Channel 6 Wednesday it was pneumococcal meningitis. Both forms are considered bacterial meningitis, according to DSHS. Abbott said the Bell County Public Health Department alerted them of the case Tuesday afternoon. KISD Superintendent John Craft sent an email to parents informing them of the diagnosis. "The district has worked and will continue to work with the Bell County Public Health Department and they have advised the district to notify parents of potential symptoms to look for and when to seek medical treatment." Saegert Elementary was cleaned Tuesday night with hospital-grade disinfectant as well as fogging of all spaces, according to Craft. More information about and Pneumococcal Meningitis can be found at the Centers for Disease Control and Prevention website.